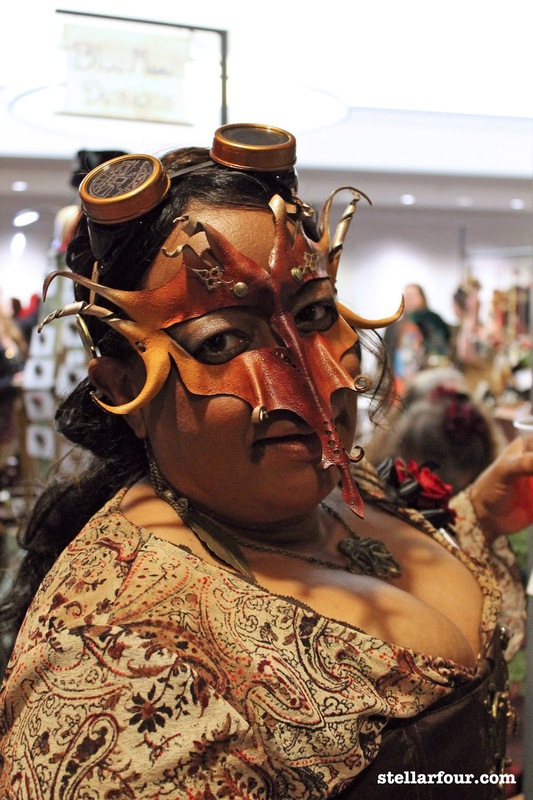 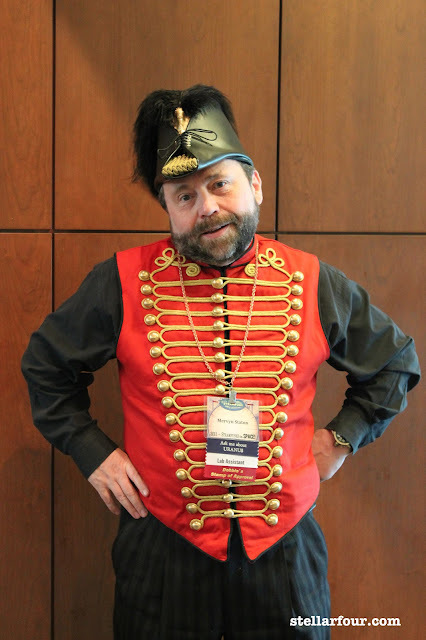 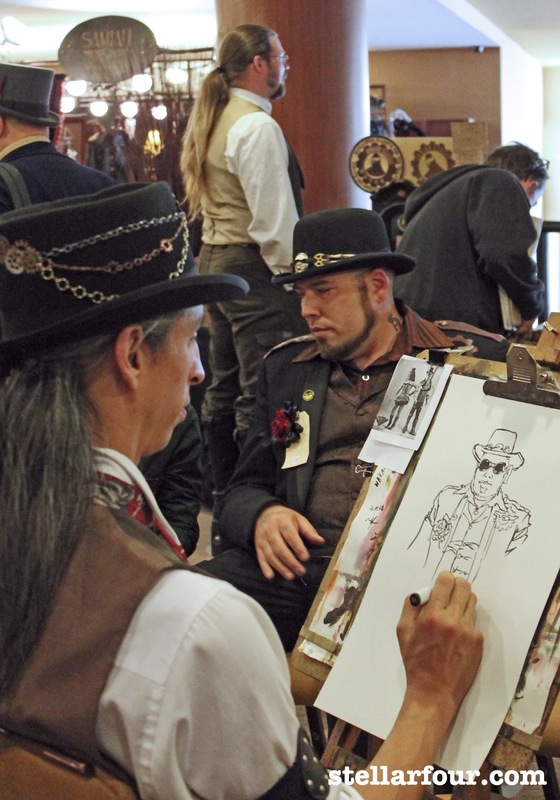 I saved some of the best cosplay from last weekend's Nova Albion Steampunk Con for last. Check out a steampunkified Chell from Portal, a Victorian era Commander Riker and more below! 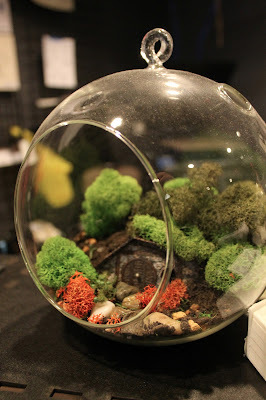 Craft inspiration: Mini Hobbit house terrariums using a premade model home, moss and rocks. 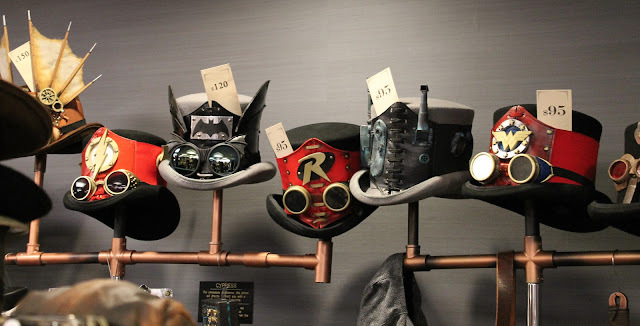 This would be super easy to recreate. 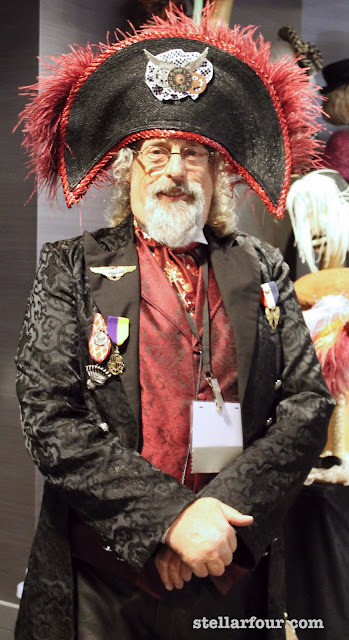 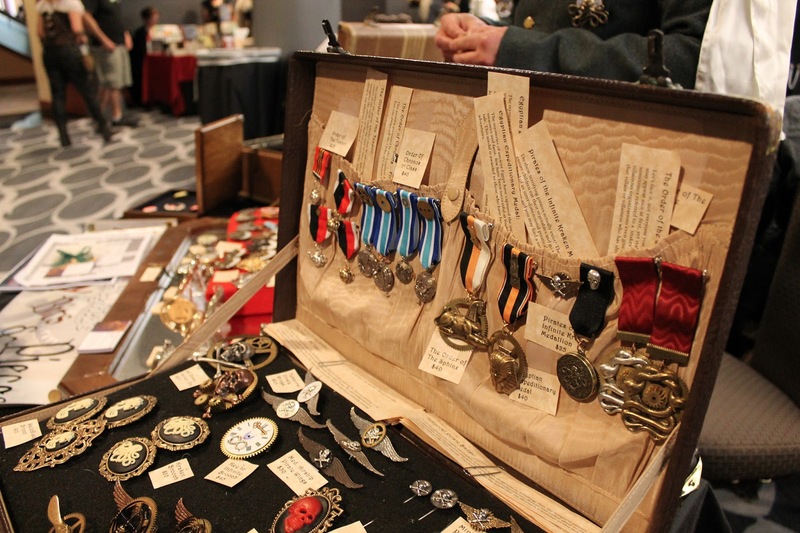 This gentleman made neat medals for fictional organizations like the Order of Chronos with working, ticking watch pieces that look fabulous in person. 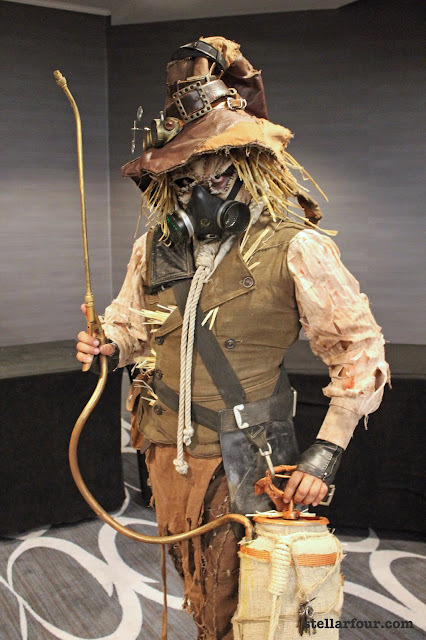 I'm not quite sure what's going on here, but this infernal scarecrow is both creepy and awesome. 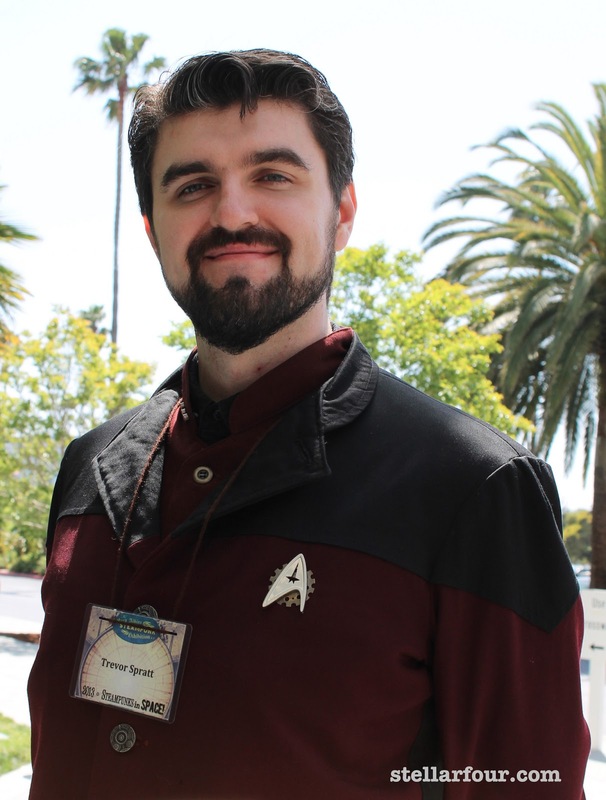 Commander Riker's gear backed pin is perfect! 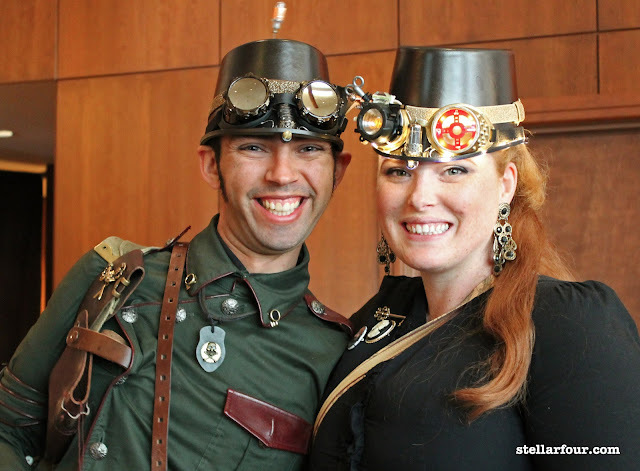 You can't quite tell here but their tricked out hats were covered in LED lights. Whom will you summon when your home is teeming with poltergeists? 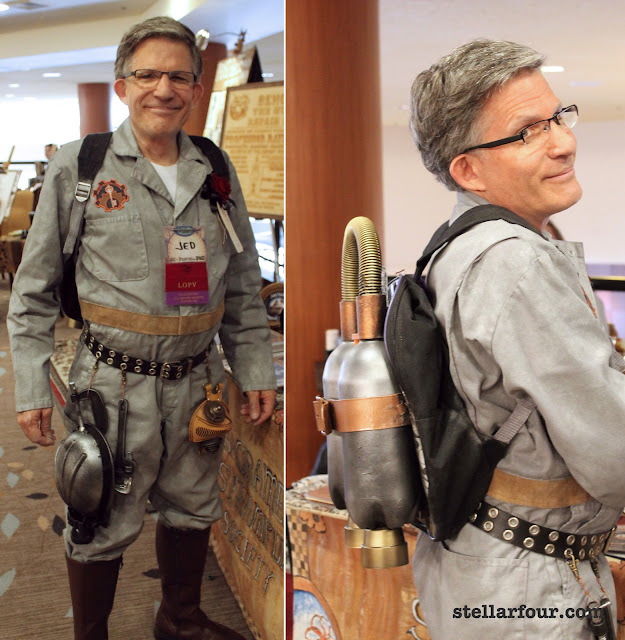 Why this steampunk Ghostbuster, of course! Craft inspiration: use interlocking gears on various levels to form a wreath. 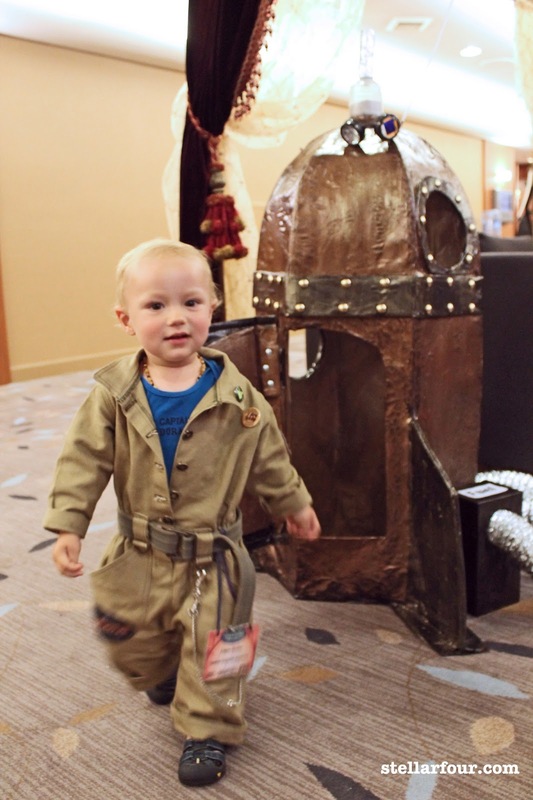 This little fellow took the Steampunks in Space theme to heart and brought his own rocket. 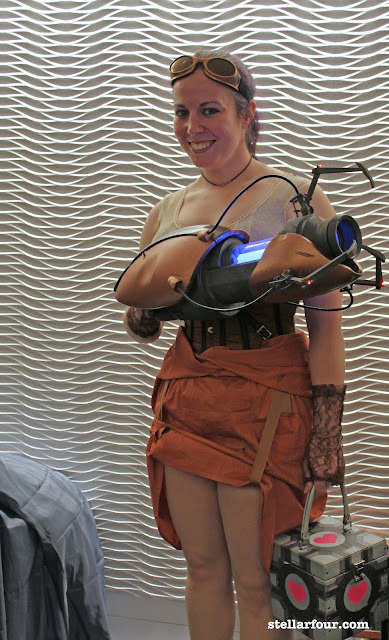 Steampunk Chell even came with her own long fall boots. 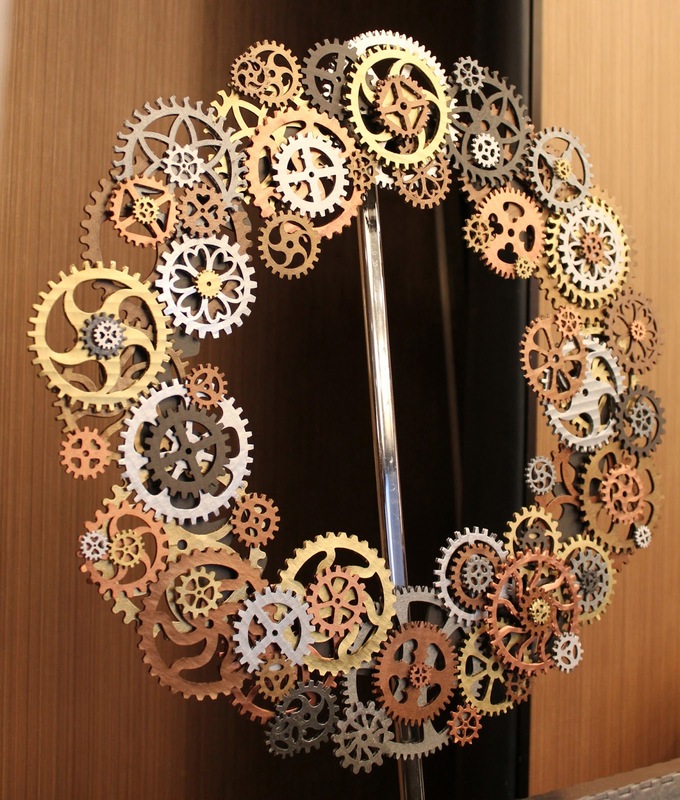 Another craft inspiration. 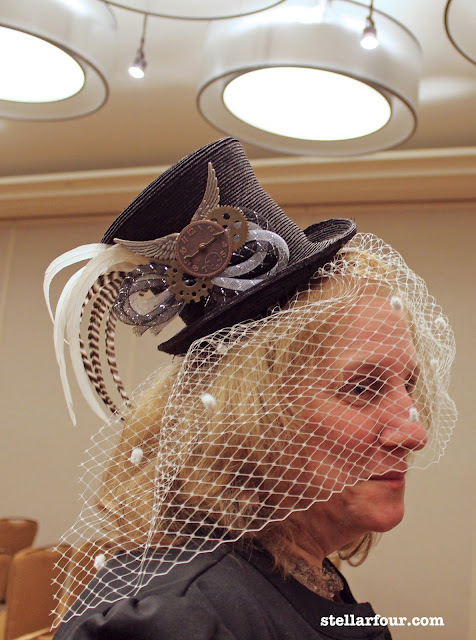 I love the metallic tubing paired with the more traditional feathers. 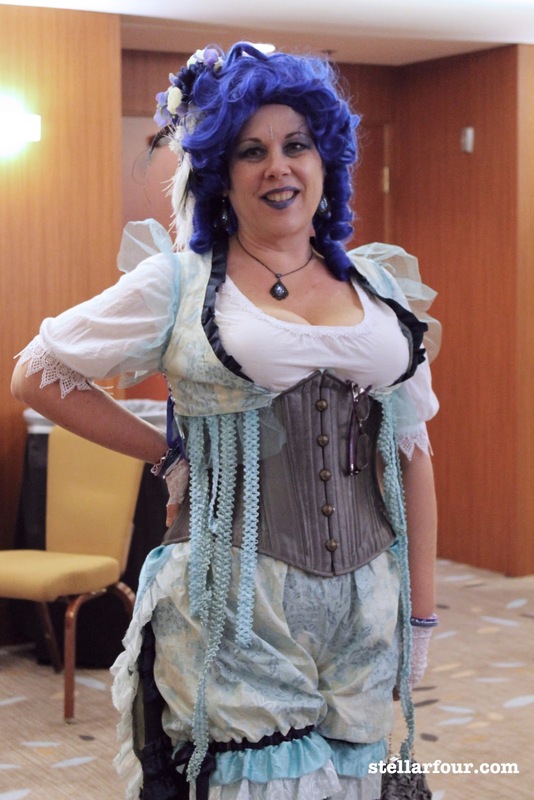 Didn't see the steampunk TARDIS dress and the other Nova Albion cosplay posted yesterday? You can check it out here.